This product is a dual purpose water based clear acrylic coating that cures freshly placed concrete and seals concrete and masonry surfaces. 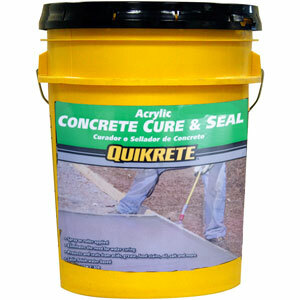 The sealer can be applied immediately after the finishing application and provides a durable semi-gloss finish. It eliminates the need for water curing freshly placed concrete, and it protects and seals from acids, grease, oils, food stains, salt and more.